Ultra-clean & waterproof. 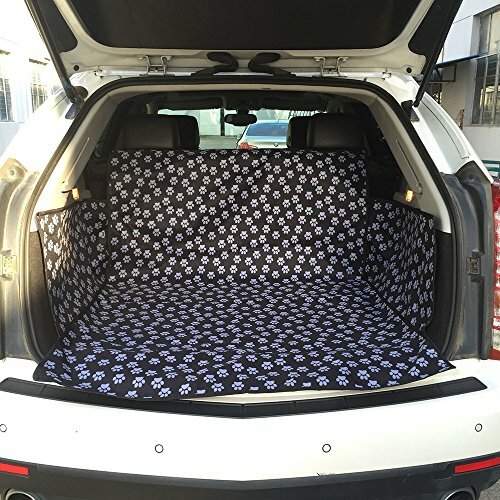 Made from durable Oxford fabric, it will protect your car boot from muddy paws, dog hair (wet & dry) and pet smells. Do not worry about the pet will vomit, make the soil everywhere, or the cargo make your vehicle dirty. Easy to clean. Easily cleaned with a damp cloth or spong. Or you just shake the boot liner protector to remove the pet hair and soil. It is washable too. Easy to install. 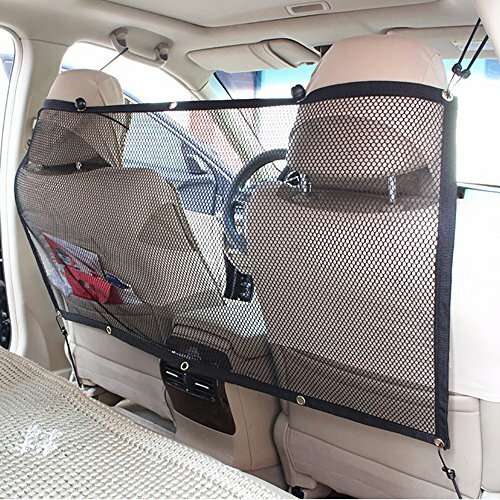 There are two straps with buckle to help keep the pet seat cover nestled in place. You just plug it, and the super Velcro design on the side cover, very convenient. 1. gr & # 246; & # 223; E: 124 * 46 cm; high-quality 900D nylon fabric, durable. 2. surface holds the transport of Gegenst & # 228, nden and livestock in car boot. 3. the bag f & – # 252; for bottles or toy F & 252; for pets.